Those who are interested in a career in music education at any grade level will need to take the Praxis II Music Content Knowledge Exam as part of the licensing and certification process. The test will measure a candidate’s competency and skills in music history, literature, theory, practice, and instruction. 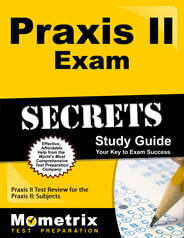 When Can I Register for the Praxis II Music Content Knowledge Exam? The test is offered continuously throughout the year at testing centers located across the country. So you can register whenever you want to. However, seats are given on a first come, first serve basis so it’s important to register as early as possible to make sure you get the date, time, and location that you prefer. If possible, try to register about 6 to 8 weeks in advance. This will also give you plenty of time to review the material and prepare for the exam. The way the exam is structured, you will first respond to all of the listening questions across all four categories. After you’ve completed that, you will then answer all of the regular questions across all four categories. Even though this exam is used across almost the entire country, there is no federal standard so each state and territory is responsible for setting its own minimum passing score. What this means for you is that you’ll need to check with the certification board in the state where you want to teach to find out what score you will need to pass. What’s the Best Way to Prepare for This Test? To succeed on this exam, you will need to spend a few weeks reviewing music history, literature, theory, and teaching standards. This is a lot to tackle in a short amount of time. So the best way to make sure you cover everything is to get the Mometrix Study Guide and Mometrix Flashcards. 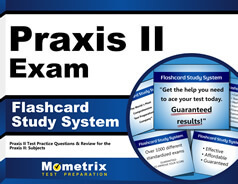 These study aids have been meticulously crafted by a team of experts who know music and especially know the Praxis II Music Content Knowledge Exam. So by using the guide and flashcards, you can rest assured that you are getting all of the essential information in a way that is geared to help you both understand and apply it in the way that the test will ask you to. You’ll get easy to follow explanations, tons of practice questions, studying tips, and proven test taking strategies. By the time test day arrives, you’ll be fully prepared to pass this exam and take the next step toward your career in music education!